Historically speaking, the guts of buildings were kept under wraps. With the exception of Timber Framing, and a stint during the 70’s where wood beams were left exposed as a testament to connection with nature, there was nothing beautiful or admirable about the framing of a home. Finished surfaces and hidden duct work was the name of the game. We now know, love, and appreciate the beauty in raw and exposed materials. Beams, joists, and lintels are now becoming PART of the architectural design intent. Let me tell you, it is a Lighting Designer’s DREAM. 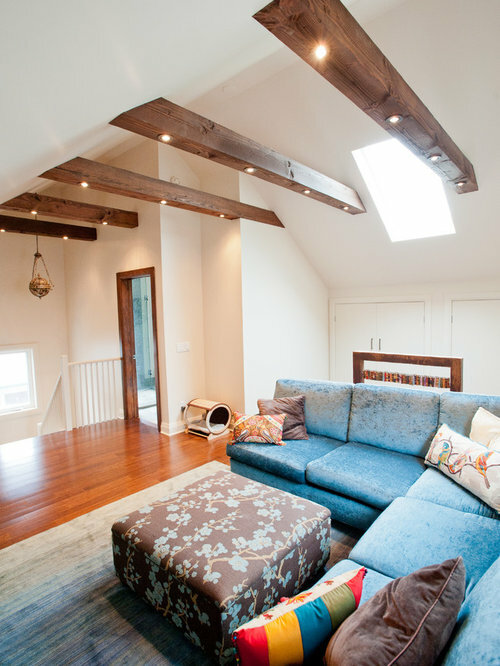 Exposed beams can be used as a platform to enhance the lighting, enhance the mood in a room. Here is a glimpse into a few of those that we’ve successfully used on past projects. 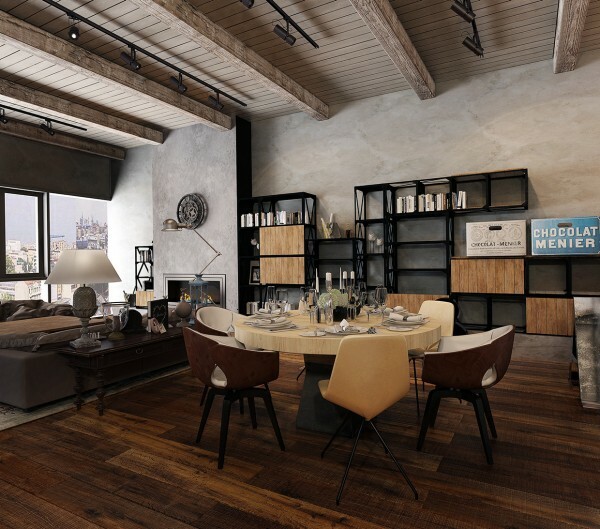 Use the following lighting design techniques in conjunction with an exposed beam: uplight, recessed downlight, pendant, graze, wash, track, etc. Even with accessibility to software that will calculate some of this, the surefire way to be certain of how it looks is to do a site mock-up. Recessed Lighting – Recessed downlights, also referred to as ‘can lights,’ are an ever-growing-constantly-changing product that can light a room using exposed beams. Utilize an architectural flat surface, whether parallel to the floor or angled, to recess downlights. Paint the trim to match the finish of the beam. This in turn will cause them to disappear from a visibility standpoint. Use downlights to spotlight furniture, highlight artwork, or create general light levels. Track Lighting – Track lighting in itself is great from a flexibility standpoint. 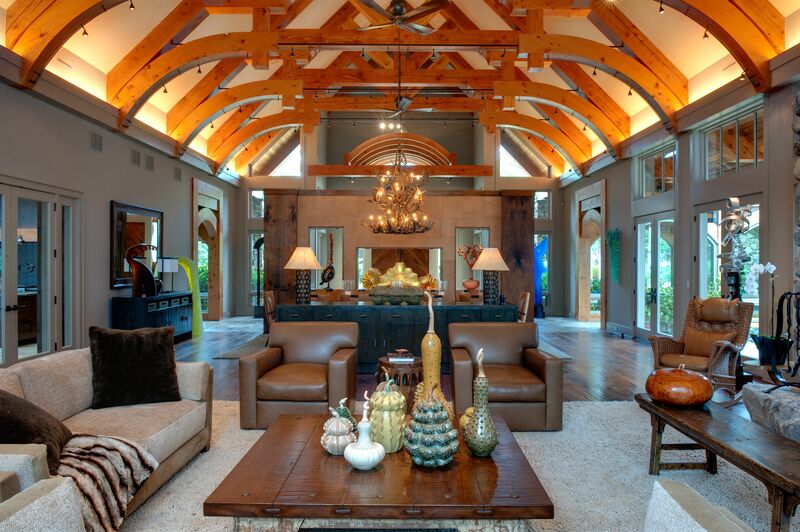 It’s form factor, typically linear, works well in open ceiling with exposed beams. Mount track into the bottom of a beam, to the side of one, or hung at the same plane as beams. In retail, offices, restaurants, galleries, and other areas that could be altered in the future, use track lighting to allow for flexibility. Track lighting’s connotation is no longer that is it big and bulky. Track heads now come small, compact, and in dedicated LED. Color temperature, finish, beam spread, and style are all available as options. With a wider beam spread, the light will create a ‘wash,’ and the light will spread out more to cast a blanket of light on the materials being lit. With a narrower beam spread, the light will create a more dramatic ‘grazing’ effect and used when emphasizing a textured surface or a lengthy surface. LS Group has successfully implemented these techniques in residences, offices, kitchens, hotels, and restaurants!